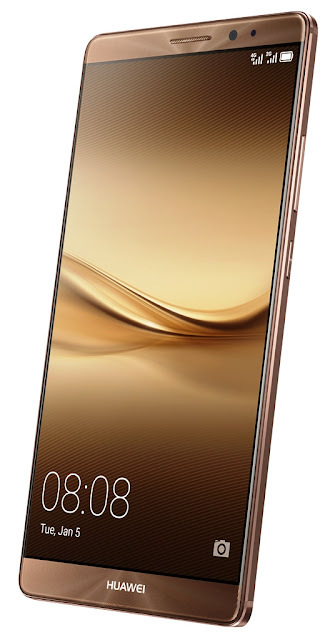 The latest addition to Huawei’s premier smartphone range, the Mate 8, was unveiled to an expectant audience on 7 April 2016 at Studio Blu in Fourways. The who’s who of the mobile device industry gathered at the glittering event fit for this first-class device, that seamlessly integrates design excellence with an unsurpassed user experience. Encased in a super-slim metallic uni-body, the 6-inch Full HD screen is the first indicator of the brilliance of this user-centric smartphone. The diamond cut glass screen produces a vivid display that brings photos, videos and games to life like never before. This visual experience is enhanced by the intuitive user experience built on Huawei’s revamped Emotion UI 4.0 that brings out the best in the Android 6.0 Marshmallow operating system. Coupled with the industry’s largest screen in the 6” category, the first commercial application of the ARM Cortex A72 chipset, unsurpassed battery life and new security and encryption features immediately set the Mate 8 apart from competitors. Delivering such an immersive user experience is more than catered for by the all-new Kirin 950 chipset that delivers powerful performance and low power consumption. The responsiveness of the Mate 8 is certainly one of its outstanding features, whether browsing the web, watching videos, or launching apps. “The Mate 8 processing power is not at the expense of its battery life and usability. With an impressive 4000mAh high-capacity battery that offers more than one-and-a-half days of heavy use, nearly two-and-a-half days of regular use and an astounding 22 days' standby time. Should the need arise, you can watch 17 hours of continuous HD video, or navigate the web non-stop for 20 hours,” adds Munilall. This is possible because of Huawei’s proprietary SmartPower technology that optimises the allocation of the Mate 8’s resources. One of the key components of this technological breakthrough is the 'Heart Beat' smart power-saving feature that continuously scans apps to determine the optimum ratio between power usage and performance that cuts the power consumption by background apps by half. With the advantage of these intelligent power saving options, Mate 8 users will be thrilled by the vast improvements and features that have been built into the smartphone’s camera. Drawing on the superior performance and size of the Sony 16MP sensor, Huawei has upped the smartphone camera stakes by adding its proprietary image sensor processor for faster focusing, higher clarity, and more accurate colours. This new Image Sensor Processor delivers stunningly vivid images, which are improved further by the built-in Optical Image Stabilisation that uses intelligent light level monitoring and anti-shake technology to create unbelievably sharp, bright, and detailed images in low-light conditions. These features are harnessed to introduce the Continuous Capture function that allows you to shoot 100 burst shots at 12 frames per second to capture images of fast-moving objects. Or, if you prefer to go in the opposite direction to express your creativity, the Mate 8 now features a Slow Motion mode for shooting high-definition videos that are rendered at one-quarter speed. The impressive rear-camera functions are matched by the 8MP, wide-angle front-facing camera that introduce new dimensions in high-quality selfies. 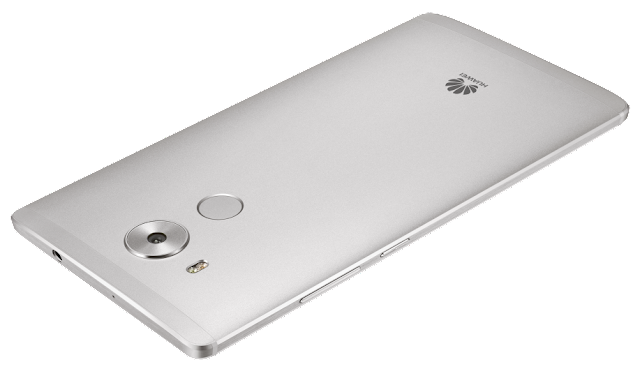 “The Mate 8 would not be complete without a feature that has become synonymous with this popular series from Huawei - the fingerprint sensor. Located on the back of they smartphone body, this security feature that unlocks the phone has been re-designed for enhanced performance to more accurately match the shape of a finger, while decreasing the depth of the sensor to improve recognition accuracy and speed,” says Munilall. Security on the Mate 8 is enhanced even further with the in-built, real-time encryption/decryption that provides protection of all information, while the microSD card lock feature prevents unauthorised access to information stored on this storage device. Speed of use has also been enhanced with the update Knuckle Sense feature that was introduced by Huawei last year in the P8 smartphone. This gesture feature allows users to take partial or full screenshots with the tap of a knuckle and share with friends, record video or control a multitude of apps in a unique and intuitive way. The Huawei Mate 8 is available in four eye-catching colours: champagne gold, moonlight silver, sky grey, and mocha brown. Two versions - 32GB and 64GB - are provided, each with a dual-SIM slot and are compatible with 2G, 3G and 4G data connection standards. “We are proud that we are able to offer our discerning consumers a device that we believe delivers on innovation, style and functionally. The Mate 8 is truly the device that meets the needs of a new style of business,” concludes Munilall. The device really looks great and is light weight, moreover the camera takes amazingly sharp images instantly. I am really looking forward to have a device in my hands soon.